If you don't have great credit this could be the card that helps you re-establish creditworthiness. The Total Visa Unsecured credit card doesn't offer perks or rewards, instead it's a low hassle, widely accepted card that gives consumers a shot at building credit when many issuers won't take the same risk. If you have bad or poor credit, Total Visa is a decent option for it's speedy application process and low requirements. The Total Visa credit card can be filed under cards for fair credit, poor credit and bad credit. However, unlike many cards in this category, it offers unsecured credit. That means you don’t have to pay a deposit to qualify for the Total Visa credit card. However, you do have to have a checking account and this card is not without fees. One such, a program fee, must be paid at the time of approval. It should be noted, the program fee is smaller than most deposits on a secured line of credit. The initial offering for approved applicants is relatively limited, with the opportunity to grow your credit line as you make timely payments. However, the application is fast and approval has relatively low requirements, making this a seamless process for most credit seekers. Many people can get from application to credit decision, online, in under ten minutes. If approved, applicants will be the proud owner of a Total Visa credit card, which is generally accepted everywhere without restrictions. 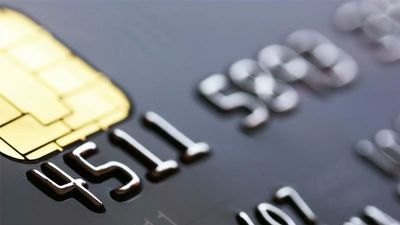 They will also have manageable monthly payments, allowing disciplined shoppers to build good credit habits by paying their balance in full each month. This issuer reports to all three credit bureaus, so if you play your cards right you will see your score increase. That’s the big benefit of Total Visa ownership. Click the button below to go to The Bank of Missouri's website. This content is not provided by The Bank of Missouri. Any opinions, analyses, reviews or recommendations expressed on this page are those of the author's alone, and have not been reviewed, approved or otherwise endorsed by any card issuer.